A home network backup system maintains copies of your personal electronic data files in case of computer failures, theft or disasters. You can manage your own home network backups or choose to use an online service. Considering the impact of possibly losing irreplaceable family photos and documents, the time and money you spend on network backups is definitely a worthwhile investment. One simple way to backup your data is to "burn" copies onto optical (CD-ROM or DVD-ROM) discs. Using this method, you can manually choose the individual files and folders you want to backup from each computer, then use the computer's CD / DVD writing program to make file copies. If all of your computers have a CD-ROM / DVD-ROM writer, you do not even need to access the network as part of the backup procedure. Most homes have at least one computer on the network without its own disc writer, however. For these, you can set up file sharing and remotely transfer data onto the optical disc over the home network. Instead of burning multiple disks on possibly several different computers, consider setting up a backup server on your home network. A backup server contains a large hard disk drive (sometimes more than one for increased reliability) and has local network access to receive files from the other home computers. Several companies manufacture Network Attached Storage (NAS) devices that function as simple backup servers. 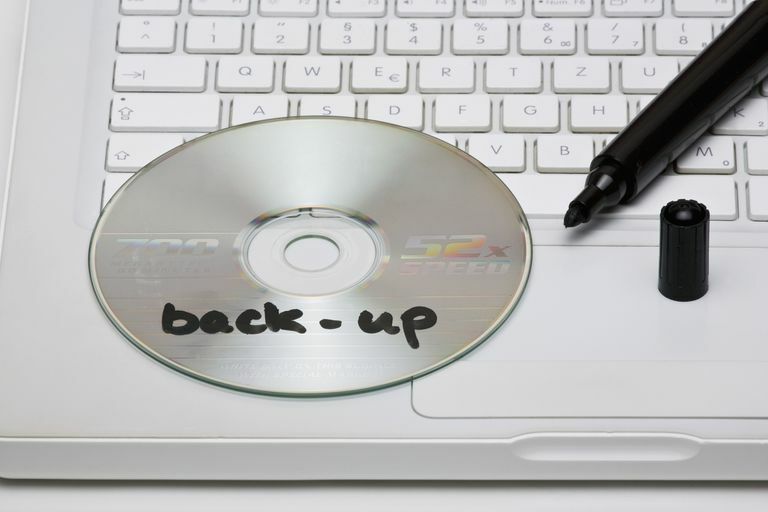 Alternatively, more technically inclined homeowners may opt to set up their own backup server using an ordinary computer and home network backup software. Several Internet sites offer remote data backup services. Instead of making copies of data within the home as with the above methods, these online backup services copy files from the home network to their servers over the Internet and store subscribers' data in their protected facilities. After signing up with one of these remote hosting services, often you need only to install the provider's software, and Internet network backups can happen automatically thereafter. These services charge monthly or yearly fees based on the amount of data being backed up, although some providers also offer free (ad-supported) storage for smaller-sized backups. Pros: Full control over which files are backed up and when. Optical discs are relatively cheap. Cons: Local discs are easy to steal or misplace. People often forget to backup frequently enough. Pros: Automatic backup capability with suitable software. Frees up resources (e.g., burners) on the home computers. Cons: Server is in the same location as the computers and susceptible to the same theft/fire/flood risks. NAS devices are more expensive than discs. Pros: Automatic backup capability. Servers are located away from the home with lower risk from theft or natural disaster. Cons: Can be a very expensive option for large amounts of data. Relies on providers being reputable with provisions in place if a data hosting business shuts down or is acquired by a different business. Network backup systems allow you to protect personal computer data. Using your home network, files can be copied to CD-ROM / DVD-ROM discs, a local server you've installed, or an online service you've subscribed to. Pros and cons exist for each of these options. Many people do not take the time to set up a network backup system hoping they will never need one. Yet network backup need not be difficult to install, and as an insurance policy for electronic data, it's probably a lot more valuable than you think.